From the good (Juninho, Edwin van der Sar, Bryan Roy) to the very, very bad (Corrado Grabbi), the Premier League has seen it all when it comes to the transfer activities of promoted clubs. On the eve of the 2018-19 campaign, here's how the three latest additions to the division fared in the summer transfer window. Wolves effectively began their Premier League preparations a year ago, with the £15.8 million acquisition of Ruben Neves from Porto -- a Championship record -- setting the tone for everything that followed. 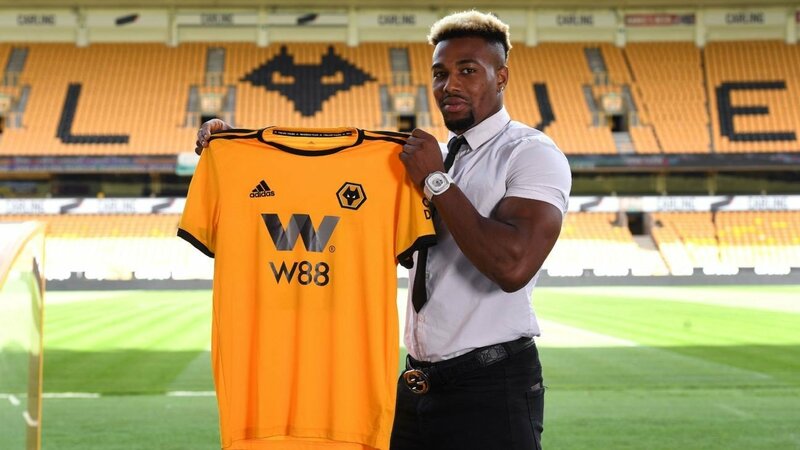 A Premier League-quality squad operating in the second tier, Nuno Espirito Santo's men were Wolves in sheep's clothing in the Championship, storming to the title with 99 points, and this summer's transfer business leaves them well equipped for a tilt at the European places. Several of the loanees who made important contributions to the promotion campaign have been given permanent contracts, among them French centre-back Willy Boly, Portuguese winger Diego Jota and Brazilian forward Leo Bonatini. Experienced Portugal internationals Rui Patricio (free) and Joao Moutinho (£5m) were the headline arrivals, the 30-year-old goalkeeper and 31-year-old midfielder bringing some Champions League smarts to the West Midlands and swelling the number of Jorge Mendes clients on the playing staff at Molineux to six. Mexico striker Raul Jimenez, a loan signing from Benfica, and the jet-heeled Adama Traore, a £20m recruit from Middlesbrough, have added depth to Nuno's options in attack, while Belgium international Leander Dendoncker, who signed on loan from Anderlecht on transfer deadline day with an option to buy next season, can operate in defensive midfield or at centre-back. Wolves' last Premier League experience, in 2011-12, ended with an abject 20th-place finish after a return of one win from their last 24 games. Six years on, they return to the top flight an entirely different beast. Slavisa Jokanovic's Fulham won an army of admirers with their artful passing football in the Championship last season and they went about their transfer dealings with an audacity that will have unsettled many of the more established teams in the Premier League. The Cottagers had landed some impressive recruits even before the deadline-day splurge that made them the first promoted club to have spent over £100m on new transfers in the summer transfer window. At around £25m, Jean Michael Seri was the stand-out acquisition, the gifted Ivorian midfield organiser brought in from Nice alongside versatile defender Maxime Le Marchand just a year after narrowly missing out on a move to Barcelona. Centre-back Alfie Mawson, signed from Swansea for £15m, was another coup, while Calum Chambers joined on loan from Arsenal. Up front, Aleksandar Mitrovic returned from Newcastle on a permanent basis after contributing 12 goals to Fulham's promotion campaign, with former Chelsea forward Andre Schurrle coming back to west London in a loan switch from Borussia Dortmund. So far, so good, but deadline day saw a further five new players arrive. There were permanent moves for Cameroonian holding midfielder Andre-Frank Zambo Anguissa, a £22m arrival from Marseille, and left-back Joe Bryan from Bristol City, as well as eye-catching loan deals for Sevilla goalkeeper Sergio Rico, young Manchester United defender Timothy Fosu-Mensah and Atletico Madrid striker Luciano Vietto. Fulham achieved four top-half finishes during their previous 13-year stint in the Premier League and with the players that they have brought in during the close season, that feat looks well within their powers. When Cardiff were last promoted to the Premier League, in 2013, their summer outlay said a lot about how they saw themselves as a club, with a recruitment drive that brought in such exotic names as Chile hard man Gary Medel, Denmark striker Andreas Cornelius and Uruguayan centre-back Maximiliano Amondarain. Cardiff went down at the end of the season and within two years, all of the eight players that they signed that summer had left the club. Cardiff went back to basics under Neil Warnock last season, securing automatic promotion despite having the lowest pass completion figures in the Championship, and their summer transfer activity has been in keeping with that approach. The club's first four signings all came from Championship sides -- goalkeeper Alex Smithies from QPR, left-back Greg Cunningham from Preston, winger Josh Murphy from Norwich and striker Bobby Reid from Bristol City -- and it was not until deadline day that they looked further afield, securing Spanish midfielder Victor Camarasa on a season-long loan from Real Betis and bringing in Harry Arter on loan from Bournemouth. Reid, who is reported to have cost £10m, will be expected to ease the goal scoring burden on Kenneth Zohore, having found the net 19 times in the Championship last season after being converted from a midfielder into a striker by Robins manager Lee Johnson. Arter will add some much-needed top-level know-how to Warnock's midfield, but for all their rough-edged durability, Cardiff's squad looks perilously low on quality. It could be a long season.